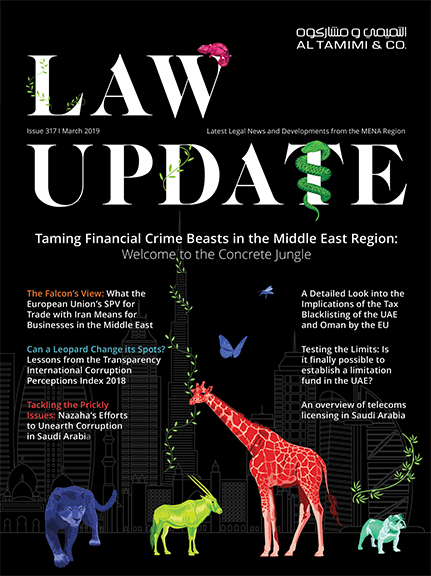 In Kuwait, it is not unusual for lenders to set in place certain contractual arrangements with their borrowers which create a pledge-like over shares owned by the borrowers in the capital of certain high value companies. By virtue of such private arrangements, which remain typically un-authenticated or un-notarized, the lenders will lock-up these shares for the entire term of the facilities granted to the borrowers and dispose of the same in the event of default or breach of contract. However, such arrangements, in conjunction with the actions of the lenders pursuant to the same, are not necessarily valid and enforceable. A floating pledge of a portfolio (account) with a custodian or the lenders can be made by a contract. Title to every asset in the portfolio must be transferred to the custodian. In case of shares, the pledgor would transfer (i.e., by direct transfer and not a trade) the shares through the KSE to the custodian which would be the registered owner of the shares but, being a custodian, the shares in the portfolio would be “off balance sheet” assets. As such, the custodian would hold the shares in its name but for the benefit of an undisclosed client which is the beneficiary owner of the portfolio. A pledge over the portfolio is established by a contract whereby the beneficial owner agrees to the pledge for the benefit of the pledgee. The custodian would be acting on trust on behalf of the pledgee in holding the security. notarization of the contract with the “writ of execution” by the Notary Public in favor of the pledgor which grants the pledgor the right to enforce its rights in the contract without the need to obtain a Court judgment. A pledge over the portfolio (which assets is composed of shares) as opposed to a direct pledge over shares is usually a preferred structure for lenders and borrowers because it enable both parties to replace/trade the underlying shares in the portfolio with simple procedures without a need to release the pledge and then noting a new pledge over the new shares each time there is a trade of the shares deposited in the portfolio. However, any private agreement executed between the lenders (or a Security Agent representing the lenders), the borrower and the custodian (the “Private Agreement”) granting the lenders (or the Security Agent acting on their behalf) the right or prerogative to “liquidate” the shares contained in the custody account (outside the scope of a pledge set forth through one of the mechanism described above) in the event of default or breach of agreement under the loan agreements or the Private Agreement is deemed null and void pursuant to the provisions under Article 237 of the Kuwait Law of Commerce. Said provisions are mandatory and may not be set aside by an agreement between the parties. Further, in practice, we note that many pledgees (under a duly structured pledge, regardless of notarization) generally prefer, in case of default of the pledgors, to sell the shares that are deposited in portfolios directly without referring the same to the court in accordance with the procedures set out in the Commercial and Civil Pleadings Law. In this regard, the pledgees rely on the fact that in any action by the pledgor nullifying the sale procedures for violation of the enforcement rules outlined above, the pledgor would be entitled to damages in an amount equal to the value of the shares sold which would be then set-off against the pledgor’s indebtedness to pledgee. However, we are aware of some cases where pledgors request damages higher than the value of the shares sold which include for example the difference between the sale price by the pledgee or the custodian and the market price of the shares when the pledgor files the legal action if such price appreciates. a notice to be served on the debtor requesting payment of the due amount of the debt that is secured by the pledge over the shares or the portfolio. when three days have elapsed after service, the submission by the pledgee of an ex parte petition to the President of the Al-Kulliya Court (first degree court) requesting the issue of an order to sell all or part of the collateral (shares or portfolio). The Court order to sell the pledged assets may not be executed until five days have elapsed following the date of its service on the pledgor, which notice must name the place, date and hour of the intended sale. If the security interest covers more than one asset, the pledgee is entitled to designate the asset to be sold except where otherwise agreed in the pledge contract. However, in no case can the sale cover more than what is adequate to pay off the debt. If after a sale there are surplus funds, these must be returned to the pledgee. The sale shall be effected at the time and place designated by the President of the Al-Kulliya Court by public auction except where the President designates another method. For the sale of shares, the President of the Al-Kulliya Court will order their sale in the KSE through an authorized broker. In conclusion, we recommend that a Court order is obtained prior to any enforcement procedures. We also recommend that the portfolio pledge contract is notarized by the Kuwaiti Notary Public. Notarization of the contract is not required for the validity of the pledge but to have the Notary Public’s stamp of the “writ of execution” in favor of the pledgee on the contract. This writ of execution would enable the pledgee to deposit the original portfolio pledge contract with the Execution Department at the Ministry of Justice for enforcement of its rights under the contract directly without a prior judgment. This would be required for enforcement of any other rights other than the foreclosure over the shares.